Introducing A City Chic Kennedy House Co-op In The Heart OF Philadelphia. This Spacious Two Bedroom, One Bath Unit Includes Updated Bathroom, Updated Kitchen, And In Unit Washer/Dryer. The Unit Is Turnkey So You Can Enjoy The Building Amenities, Such As An Amazing Rooftop Pool, Community Room, Bike Room, Laundry Facilities, Library, Fitness Center, Concierge, 24 Hour Security, On Site Management, On Site Parking, Hospitality Suites And A Free Storage Bin Located Within The Building. 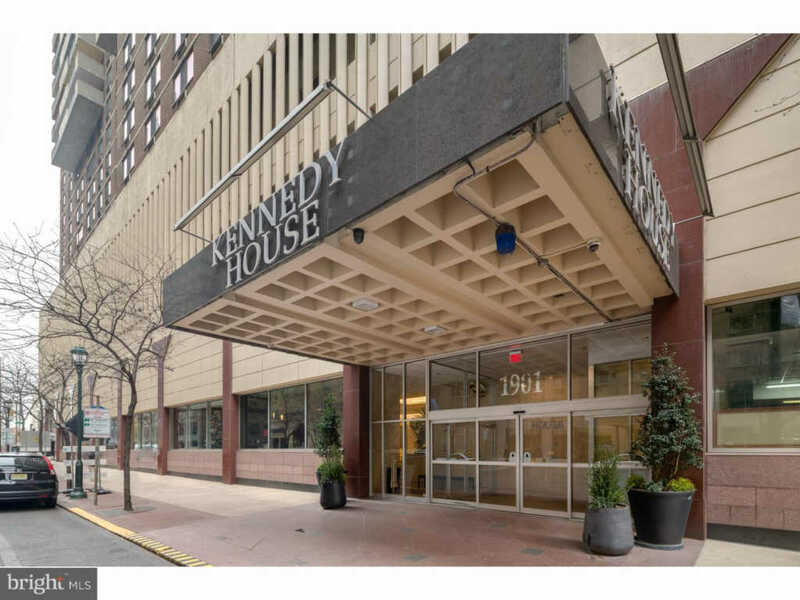 When You Are Ready To Go Into Town, The 17 And 33 Buses Stop On The Corner Of 19th And JFK Blvd Or Walk A Few More Blocks To Amtrak 30th Street Station. Fabulous Restaurants, Shops, And Museums Are Right Outside Your Door! There Is A One Time Administrative Charge OF Seventeen Dollars Per Square Foot. This Is A Co-op Building And All Applicants Have To Be Approved By The Board. The Board Requires 25% Down When Acquiring A Mortgage. Subletting Is Not Allowed. Cats And Birds Are Welcome In The Building.